Woodstock. The word alone brings to mind music, hippies, and love. 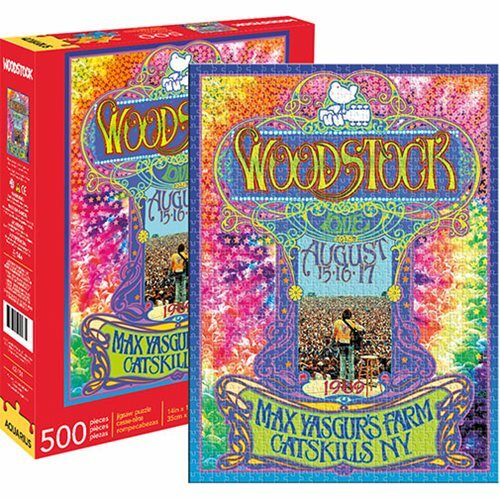 Travel back to 1969 with this colorful 500 piece puzzle, featuring poster art of the pivotal concert on a farm in the Catskills. Three days of Peace and Music ... hours and hours of puzzle fun!